No matter if you work for a Fortune 500 company or for your own small business, knowing how to increase productivity is crucial. Many productivity tips are pretty intuitive. Eliminating your hourly social media binge, for example, is crucial to maintaining a steady work flow. However, there are some less-obvious ways to help increase your productivity. One damaging side effect of trying to get the most out of your workday is the way work tends to spill over into the rest of your life. Humans need downtime to reenergize and refocus. Be strict with yourself and those around you about what constitutes your personal time. Actually take a lunch break, and then don’t talk about work while you eat. Make sure meals are yours to savor so you can let your mind wander for a change. The same goes for break time. Schedule your breaks, and make sure to take them regularly throughout the day to keep from getting frazzled. Getting out of the office for even a few minutes does wonders for your energy and focus. Many people in the United States spend an inordinate amount of time commuting to and from work. Don’t let that time be wasted. Using public transport such as buses and trains is not only cheaper and better for the environment, but it reduces stress and frees up those hours for productive use. Get comfy on the train, and use that time to make sure everything is prepped for your big presentation, take care of emails or knock out a few simple tasks. It’s amazing how much easier your day goes when you’re able to eliminate some of the busywork from your desk before you even get to the office. Everyone knows you have to eat your vegetables to get dessert. Unfortunately, dessert in the workplace is still work, but the rule remains true. Try getting your biggest task done first thing in the morning and the rest of your day is a walk in the park. It’s not exactly cake, but by using this productivity improvement tip, you can happily spend the rest of your day on simple tasks rather than having to tackle huge challenges at the end of the day when patience and energy are low. This also helps reduce your stress level, as you won’t spend the day agonizing over a looming deadline. From CEOs to freelance graphic designers, everyone wants to know how to increase productivity with simple, accessible techniques that don’t disrupt the daily routine too severely. These three unlikely tips can help you increase productivity by reducing your stress level and helping you make the most of all the hours in your day. 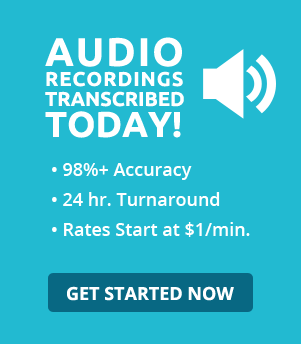 To learn more about ways to streamline your work day, visit Transcribe.com.